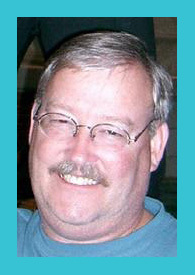 CENTERVILLE, GA — Darrell L. (Brown) Laughlin, 55, passed away on Wednesday, May 4, 2011. Services will be held at 2 p.m. Saturday in the chapel of Heritage Memorial Funeral Home. Burial will be private. Visitation will be from 7 until 9 p.m. Friday and from 1 until 2 p.m. Saturday prior to the service at the funeral home. Mr. Laughlin was born in Pryor, Okla. He was preceded in death by his father, Dwight L. Laughlin Sr. He served over 20 years active duty in the United States Air Force as an Aircraft Armament/ Weapons Systems Technician. He was a self-taught musician that never took a formal lesson except what he picked up from his father. His all-time favorite tune to play was "Dust in the Wind" by Kansas, which he played daily for his family's entertainment. No matter where his travels took him, there was always someone along the way that knew Darrell. His personality was magnetic and once you met him, nothing could break that hold he had on you. We will miss his smile so much. Darrell was a tribal member of the Seneca-Cayuga American Indian Tribe in Miami, Okla., and an active member of the Abe Hinson Masonic Lodge No. 472, F&AM in Alexandria, La. Survivors include his wife, Tonhja L. (Grigsby) Laughlin, of Centerville; two daughters, Jessica (Ryan) Mead, of Fredricksburg, Va., and Sarah Laughlin, of Atlanta; twin grandsons, Jacob and Nathaniel Carter, both of Fredricksburg; mother, Alpha Jean (Chase) Laughlin, of Neosho, Mo. ; sisters, Carol Brown, Linda Foley and Dara (Jon) Hubbard, all of Neosho; brother, Dwight Laughlin Jr., of Neosho; in-laws, Millard and Sandra Grigsby, of Knoxville, Tenn.; and brothers-in-law, Carlos Grigsby and Ervin (Debbie) Grigsby, both of Knoxville. Darrell leaves behind an unlimited number of broken hearted co-workers and acquaintances including special friends, Greg ³Spanky² and Kim Creyaufmiller, of Huntington Beach, Calif., Shaun and Jennifer Johnson, of Kathleen, Ga., Danny and Nadine Yust, of Emporia, Kan., Tom and Sue Crutchfield, of Panama City, Fla., Bradley Carter, of Raleigh, N.C.; and several nieces and nephews. Heritage Memorial Funeral and Crematory is in charge of arrangements.